As well as being one of the happiest nations in the world, Denmark is also known as being as one of the most family friendly places to go on holiday. 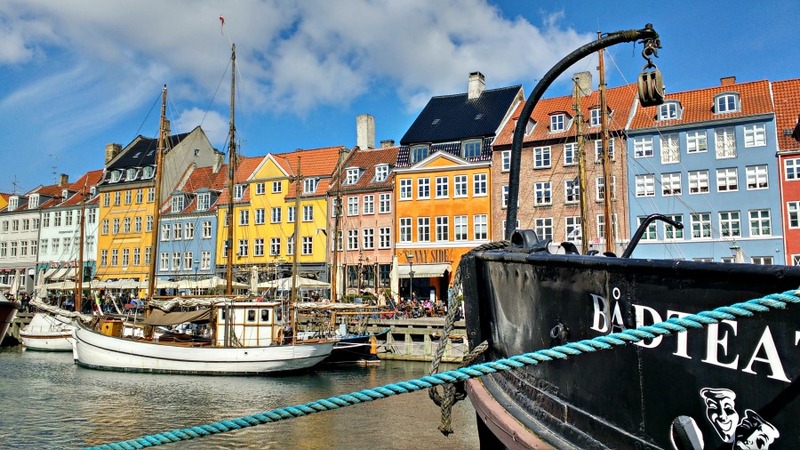 It may not have the sunshine, or weather of some of the Mediterranean countries, but it more than makes up for this in terms of world class attractions like the original Legoland, and ultra-family friendly cities such as Copenhagen. 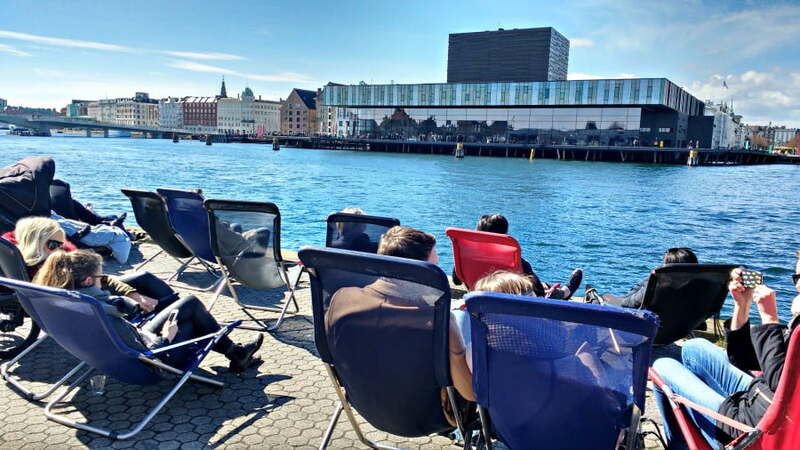 Plus, visiting Denmark gives you a great opportunity to find out more about the Danish art of hygge, which is the way in which the Danes embrace their long, dark winters. This is something which has intrigued me for a bit (how on earth can anyone like Winter? ), so I was keen to learn more. 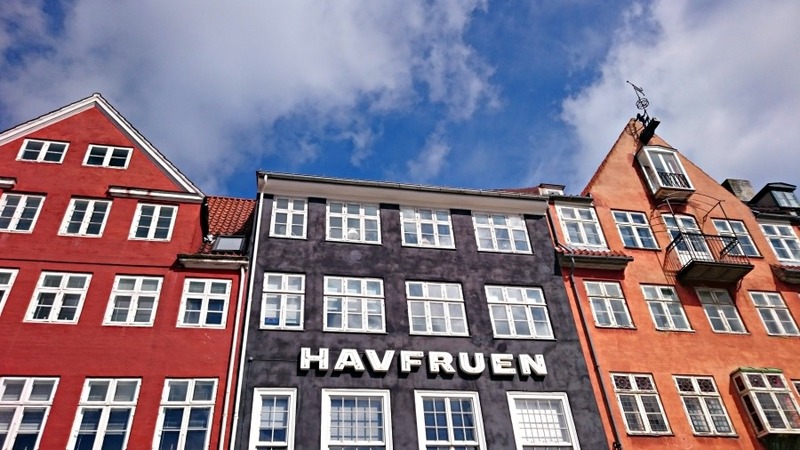 On a mission to find out how toddler friendly Denmark is, my husband and I booked some flights from Manchester to Copenhagen so we could spend a week exploring Denmark with our 2 young boys. 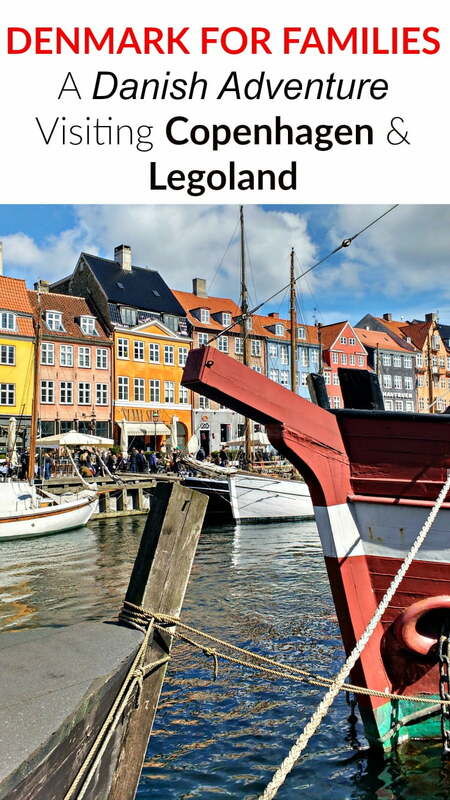 Our rough plan was to spend a few days in Copenhagen, then hire a car and drive over to Jutland to go to Legoland Billund. Then it was back to Copenhagen Airport to get ready for our return flight to Manchester a week later. After a 7.25am flight from Manchester Airport, we landed at Copenhagen at 10am – to be met with torrential rain! However, coming from Yorkshire we were undeterred by a ‘bit of water’ so made our way to the Airbnb apartment we were staying at for 3 nights. This was our first Airbnb experience. We had chosen to stay in an Airbnb apartment because apartments give us more space and flexibility than hotels. Hotels in the city centre of Copenhagen were quite expensive (£200 a night exc breakfast), but our 3 bedroom Airbnb apartment cost £400 for 3 nights. 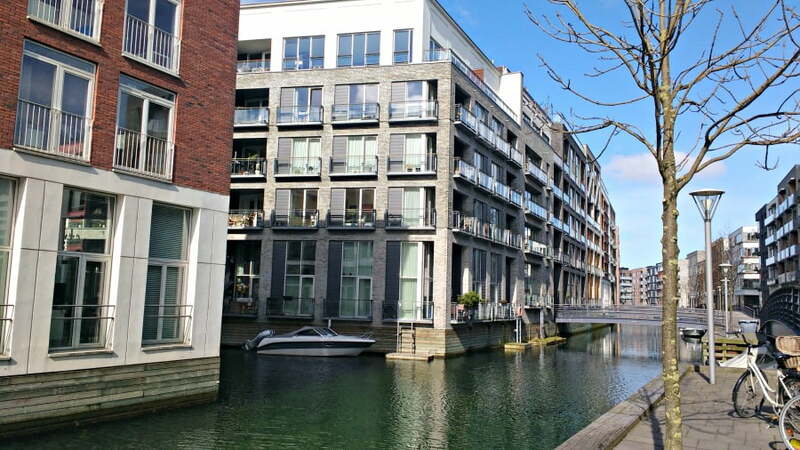 The apartment had 3 bedrooms, was family friendly and just a 10 minute bus ride from the centre of Copenhagen. There was a Netto supermarket 5 minutes away, which meant that we could prepare our own food and save money that way. I have written a seperate article about how to do Denmark on a budget. One of the best things about our Airbnb apartment was that the family who lived there had 2 young children, which meant there were loads of toys for our boys to play with. One of the bedrooms had bunk beds (always a hit with young children) and the other one had a pull out bed and loads of Lego. We really appreciated the extra space we had in the apartment, and it was also really interesting to live in residential area and gain a tiny insight into how Danish families lived. 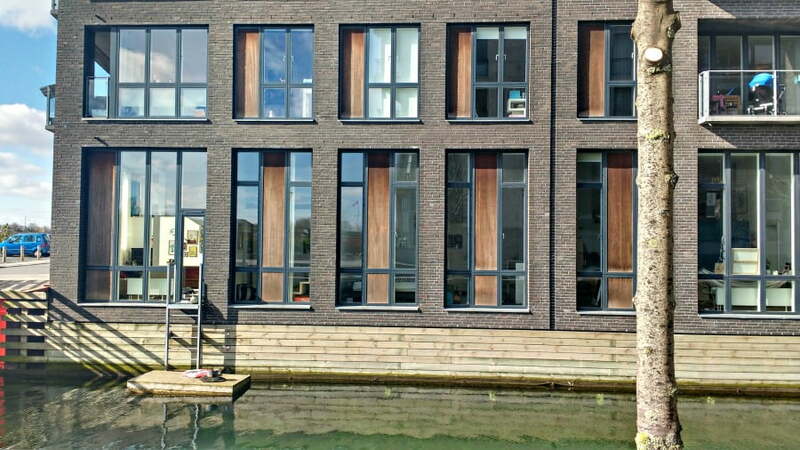 Our apartment was surrounded by canals and every room overlooked the water. There were boats moored outside the apartments, and our apartment had a little jetty outside with steps which the family used to go swimming during the summer months. The Danes which lived in the same area as us were super family friendly. There were trikes, bikes and a playhouse in the central courtyard, and loads of parents and grandparents walking past pushing babies in prams or pulling them along on their trikes. Denmark is a very equal society so it was interesting to see men pushing prams down the road on a Tuesday morning and not just women. We had 2 days to explore Copenhagen. 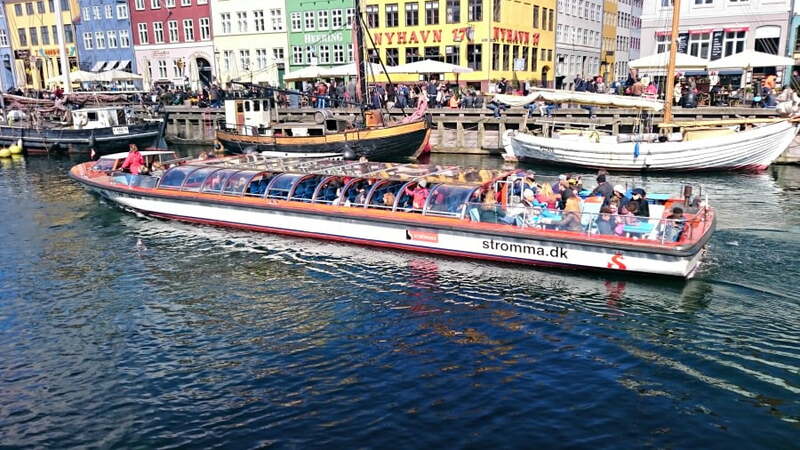 On the first day, we caught the bus in and took the Stromma Hop On Hop Off Canal Boat Tour for a guided tour of the city. We saw the Amalienborg Palace (where the royal family live), the Little Mermaid and hopped off at the Nyhavn harbour to have a wander around. We went to Copenhagen Street Food for lunch. I had seen Rick Stein visit Copenhagen Street Food on his travels, and really wanted to go there and see it for myself. Copenhagen Street Food is an international street market with stalls from all around the world. We grabbed a couple of plates of food from a Middle Eastern seller and went outside to eat it alongside the canal. A lot of the locals were chilling out on deckchairs on the canals with a big plate of food and a beer. After a bit more wandering we found some (free) trampolines alongside the river, and the boys had a bounce. London – take note! Our 2nd day in Copenhagen was spent at the Tivoli Gardens. This is one of the oldest amusement parks in the world, and had theme park rides, entertainment, gardens and an awesome playground. 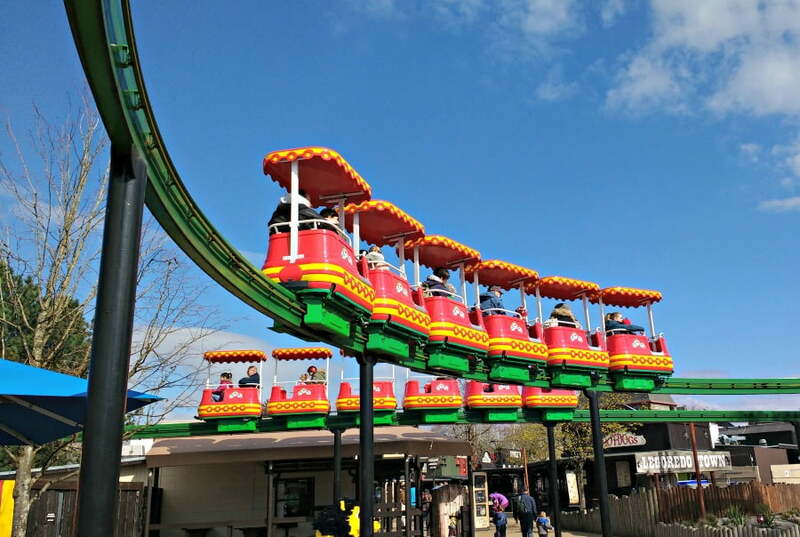 We spent the day going on the rides – all of which lasted a decent amount of time, and were quirky and well thought out for toddlers and young children. This was one of our favourite days out in Denmark, and it a must if you are visiting Copenhagen. We had hired a car at Copenhagen Airport, but hadn’t used it for 3 days when we were in Copenhagen. However, it was cheaper to rent it for a full week rather than just 3 days, so we had parked it outside our apartment when we were in Copenhagen ready for the 3 hour drive over to Jutland. Driving in Denmark was fine. They drive on the other side of the road to us, but there wasn’t much traffic and it was quite easy to find our way from the island of Zealand where Copenhagen is located, across Funen and over to Jutland. The only thing to note on the way was the toll we had to pay to cross the Storebælt Bridge – an eye watering £25 each way. The bridge is 18km though and links east and west Denmark so you don’t really have a choice about crossing it if you are driving. 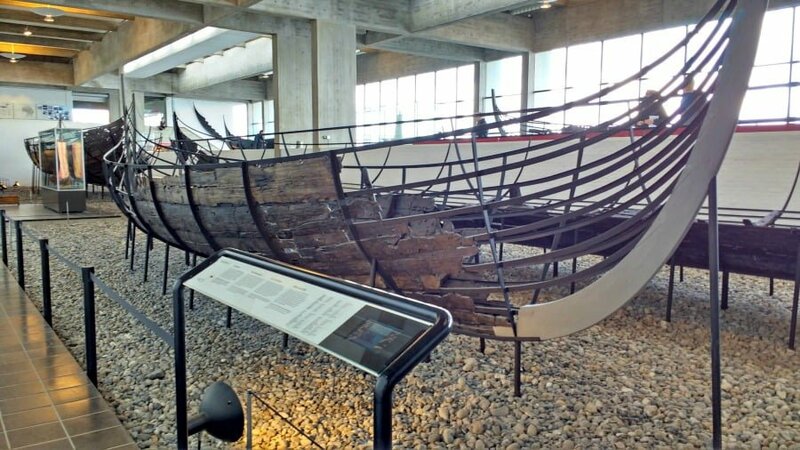 We stopped at the impressive Roskilde Viking Ship Museum on the way to Billund to learn more about the 5 Viking ships, which had been discovered in the Roskilde Fjord and were currently being painstakingly recreated at the museum. This was only about 35 minutes from Copenhagen, and can be easily visited on a day trip from the city centre. We spent about an hour looking round the Viking ships and learning more about them. There was a Viking dressing up area, a colouring in area where the boys could colour in some Viking ships, and also a reading area with children’s Viking stories. There was also a workshop area where you could see how the craftsmen and women were recreating the Viking ships. In the summer, you can take a boat trip around the Fjord. We also had one of my favourite meals at the Roskilde Viking Ship Museum. Café Knarr serves food which is ‘prepared according to the principles of New Nordic Viking Food’ using materials which were used by the Vikings’. So, you won’t find food containing potatoes, tomatoes or cucumbers, but instead you can try delicious flatbreads, angelica, sea buckthorn and pearl barley. Matthew had a sausage flatbread with dried blueberries and cranberries, and Daniel had a ham and cheese sandwich with blueberries and cranberries (55DKK, £6 each). I had a smoked salmon sandwich served on home-baked wholegrain bread with ramson mayo, cabbage, herbs and pickled red onions (75 DKK, £8.50), and my husband went for a beer braised pork flatbread (85 DKK, £9.60). 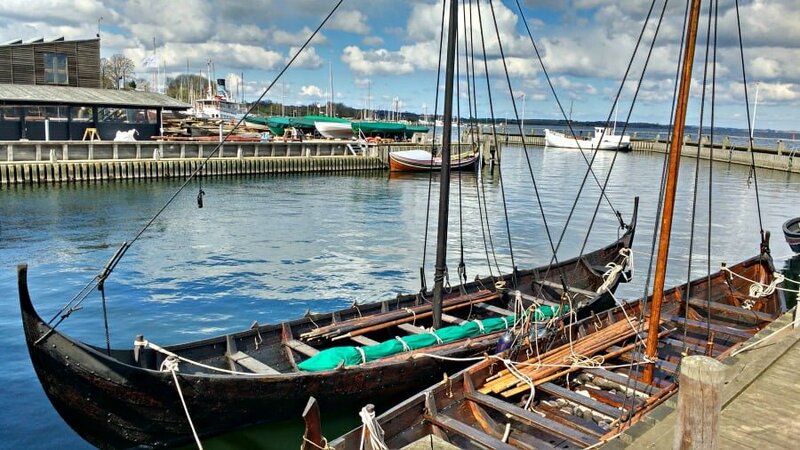 http://www.vikingeskibsmuseet.dk/en/ Adults 130DKK (£15), Children free. 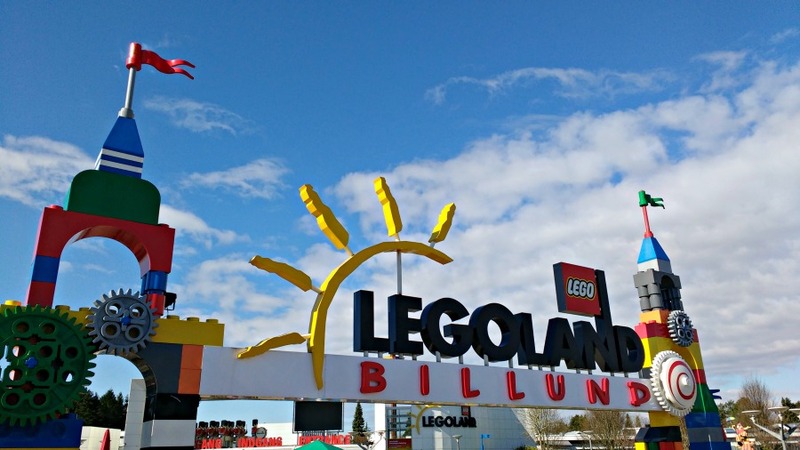 The main reason for going to Billund is to visit the original Legoland park. We spent 3 days in Billund staying at the fantastically family friendly Lalandia. 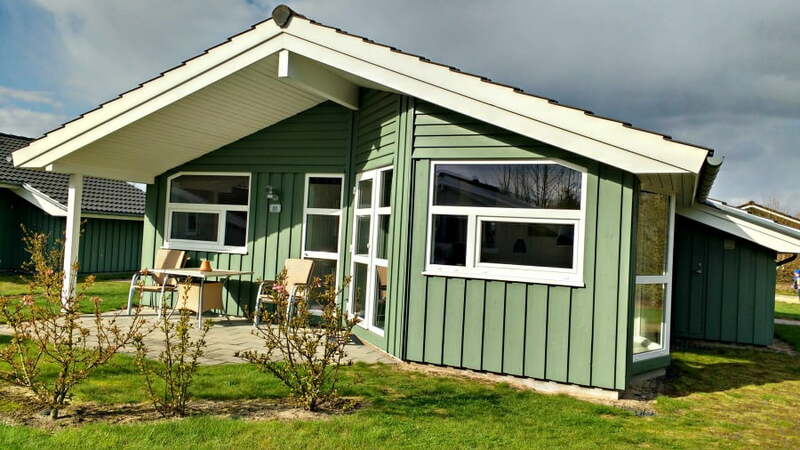 This is Center Parcs Danish style, with holiday homes located around the main resort centre with an Aquadome, soft play, bowling, ski slope, ice rink, climbing wall and tobogganing. Lalandia is located right next to Legoland so you can walk over to the park when you want to visit it. We had 1 day at Legoland, and 1 full day exploring the Lalandia resort swimming, playing and even doing some crystal mining! If we had had more time, I would love to have had a day out at the Givskud Zoo, and some of the beaches and towns in the area such as Kolding, Ribe and also Denmark’s 2nd city, Aarhus. If I had to describe Legoland Billund in two words, I would have said ‘laid back’. I don’t know if it was a quiet time when we visited (at the beginning of the season, during the english easter school holidays), but there weren’t many queues and it wasn’t too busy. It did get busy at the day went on, but we were able to get on quite a lot of rides in the morning without having to wait. We managed to go on all the rides, but didn’t have time for the shows, but I think these are more aimed at older children. The rides did shut early though (5pm) but the park remained open for another hour after that so we could spend an hour going round Miniland. It was also quite chilly (even for a hardened Yorkshire family) so make sure you wrap up warm if you are planning to visit. After 3 days in Jutland, we drove back to Copenhagen (across our favourite £25 toll bridge again) ready to catch our flight back to Manchester. 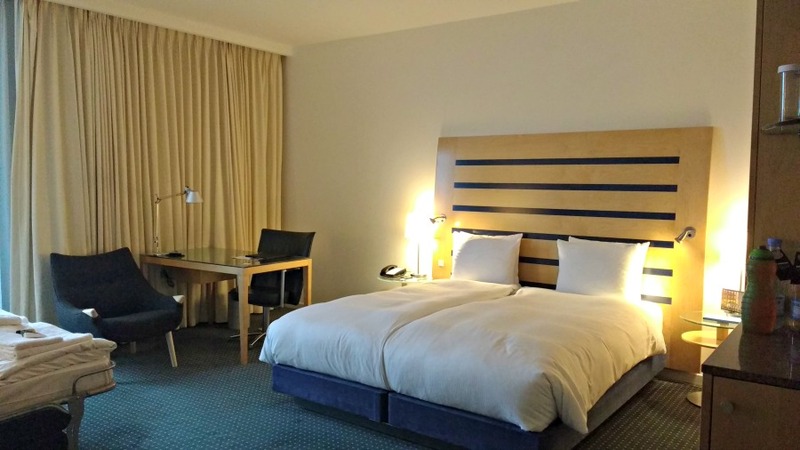 As our flight was quite early in the morning, we decided to spend the night at the Clarion Hotel at Copenhagen Airport. Before we dropped our rental car off, we stopped off at the Fields shopping centre where we had dinner at an all you can eat restaurant. This was full of locals and we found food to be cheaper here than in the centre of Copenhagen. It was also only about 10 minutes away from the airport so was a good choice for us. Then we checked into the Clarion Hotel at Copenhagen Airport for a great nights sleep, and an even better breakfast, before our flight back to Manchester Airport. We do tend to moan quite a lot in the UK about our weather, and especially about the cold, dark winter months, but the Danes have longer, colder and darker winters than us and they seem to love it! Why is that? Well, I only spent a week in Denmark so I’m not professing to be an expert, but it was quite cool when we visited so I think I saw a bit of hygge in action. Hygge to be me seemed to mean ‘cosiness’. When the weather gets bad, the Danes retreat into their houses, light tea lights, get their winter cushions and blankets out (yes, they have cushions specifically for winter) and stay indoors. They invite friends and family round to their house, cook food, light a fire and just chill out. There are snug coffee shops full of tea lights, serving Danish pastries (make sure you try Wiener Bread), and the locals seem to spend time relaxing in coffee shops with friends without always being in a rush. The Danes are a fit bunch too, and make sure they fit exercise into their routine too even in the middle of winter. In the centre of Copenhagen there are harbour swimming pools, where the locals take a dip – mainly in the summer, but we saw some hardy swimmers going for a swim in temperatures of about 5 degrees. Is Denmark A Toddler Friendly Destination? A 100% YES! Any city with free trampolines on the side of the river, surrounded by parks is family friendly in my eyes. Copenhagen is compact, chilled out and has the Tivoli Gardens and loads of museums, such as The Children’s Museum, which we didn’t have time to visit. You can’t visit Denmark without going to Legoland at Billund, but again there seemed to be a lot more in Billund than just Legoland. I would have loved to spend more time exploring Jutland while basing ourselves at the amazing Lalandia. If you get the opportunity to go to Denmark– go! Thanks for the tips. We are going there with our 4-year old next week. Will rent a car as suggested.